Welcome back everyone from (I trust) a great time over what is the UK’s last remaining feast period. But it’s not just digestive juices that have had a hard time – wallets and purses have too. So, let’s kick off 2019 with some of the great value wines that offer presentable fare without heightening stress levels among bank managers (if such a breed still exists)! As usual, we have a Best of the Rest Section and a Top Tip – this time about glass sizes. To help you locate each wine on a crowded shelf, bottle shots appear near the relevant text. Portugal has long been a good source of great value wine but (unlike most other parts of Europe) its 2018 harvest was a small one, so lap up this classic red blend while 2017 versions are still about. 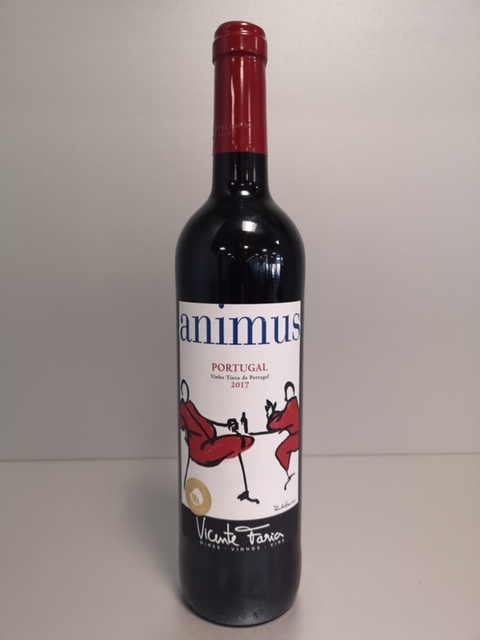 Amazingly complex for the price, 2017 Animus Duoro (£4.99 at Aldi and 13% abv) has soft raspberry and cherry fruit with firm acidity, hints of chocolate, nutmeg and mint but very gentle tannin. For those unfamiliar with this section, I have stolen the term “Magic Bullet” from the medical profession where, apparently, it refers to a remedy that delivers its benefits without side effects. In our context “Magic Bullet Wine” also has important benefits (it tastes good and makes anyone buying it look knowledgeable and surefooted) yet avoids the side effect of a big hole in the pocket. UPDATE: Several of you have noticed that this wine is changing – principally because of its enormous success. Sales have drastically outstripped expectation and, as things stood, demand would have exceeded supply given the difficult 2017 Douro harvest. For details follow the link to the excellent report on that Vintage by the Symington family. As the 2018 harvest was even smaller, waiting for that to become available (in May) was not an option either. So, part of the blend (30%) is now sourced from other parts of Portugal but the style is broadly the same, as are the grape varieties used. To signal this up the label has changed (the silhouette figures are now coloured red) and, of course, Douro is not named on the label – although 70% of the wine still comes from there. I have now tasted both wines together to assess the effect of this change. There are differences– albeit not enormous ones. While cherry is still the dominant fruit influence, background flavours are more plum centred in the new one than raspberry based as in the original. The new version has firmer tannin and its texture is a little lighter but all this is really tackling things from the wrong end. Will the consumer still get great value red wine at a knock down price? And the answer to that is indisputably “Yes”. While in a scoring system the 100% Douro version would probably be about half a mark ahead, its successor remains fantastic wine at £4.99 that is, to me, a significantly better buy that most rivals at that price point – and, in some cases, substantially so. Another good value country is South Africa so for our second red we head there to sample a great example of an often maligned grape variety – pinotage. 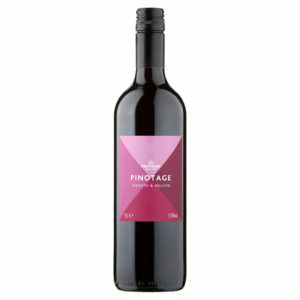 While unimpressive pinotage can exhibit suggestions of rubber, bananas and nail polish, the 2018 Morrisons Pinotage (£5.07 at Morrisons in Scotland – but it may be cheaper elsewhere – and 14%) offers consistently tasty wine at a fantastic price. It has an excellent array of flavours, including white pepper and chocolate, that sit alongside its cherry fruit, mild acidity and gentle tannin. As a source of quirky wine, South West France has a great story to tell and is well worth exploring but some of the fare it produces is terrific value too – as you can see from this crisp blend of colombard and ugni blanc. 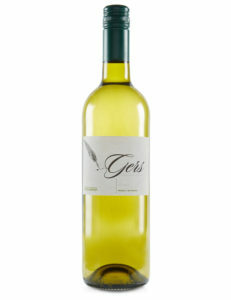 Rivalling sauvignon blanc for its sharp lime acidity, 2017 Gers (£5 at M&S and 11%) is centred around uncomplicated green apple and pear fruit and real lightness to help remedy festive palate fatigue. If pinotage is South Africa's signature red then its white equivalent must be chenin blanc and for a well made but kindly priced option head for this part of the increasingly impressive SPAR range – for a wine that pretty much delivers what it says on the label. Enjoy then the zesty apple and tangerine flavours in Fruity White (£5 at SPAR and 13%) which is neatly enlivened by pink grapefruit acidity yet given depth by a spicy texture and hint of chocolate. It’s time riesling came out of the cold and into a more agreeable cool place – your fridge! Many folk were so scarred 20 or 30 years ago by indifferent, old fashioned examples of, for instance, sherry, Beaujolais and many sweet wines that they shun them to this day. Riesling is one obvious victim of this seriosuly unfair “give a dog a bad name” effect and anyone still harbouring doubts should try this reliable, fresh German riesling with none of the excess sugar and blandness that put so many off the variety (almost for life). Look for the name rather than the label as the packaging is in the process of being changed. Fresh and modern, 2016 Piesporter Michelsberg Mosel Riesling (£4.99 at Lidl and 10.5%) has lovely floral, cooked apple and white peach fruit supported by sherbet lime acidity and a suspicion of nutmeg. Since today’s main focus is on competitively priced wines, this feature moves a step or so up the price ladder. Pinot can be eye wateringly expensive (often justifiably so) but here is a neat and satisfying version that will not break the bank yet gives you a taste of those signature pinot components that generate so much excitement. 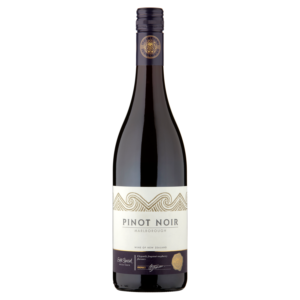 Aromatic raspberry fruit, cinnamon and initial hints of earthiness all surface in 2016 Extra Special Marlborough Pinot Noir (£8.98 at Asda and 13.5%) and join with firm acidity and suggestions of cherry and cocoa to provide uncomplicated (if not classically complex) pinot noir. Chardonnay is undoubtedly the white wine king almost everywhere in Burgundy but good versions of young, fresh and sometimes mineral influenced aligote are well worth seeking out – and can be great value. For a good example from a producer that includes the old Buxy co-operative, try 2017 La Burgondie Aligoté (£9 at Tesco and 12.5%) with its lemon and grapefruit acidity coupled with apple and peach fruit sitting atop savoury edged spicy depth. Tip: If “Dry January” is not for you, try this simple way to help keep alcohol use within sensible limits – a sort of “Demi-Sec Janvier” perhaps. Borrowing an approach from the world of dieting, a recent “sensible drinking” campaign urged people to “drop a glass size”. I rather liked the title – and the thinking behind it. Generous sized glasses are fashionable, look good on the table and loudly signal that “this is not a mean household” but are they a good idea? Psychologists at Pennsylvania University, experimenting with sweets, invited people to help themselves from a massive sweetie jar, but gave them different sized scoops. Tellingly, those with the mega scoops took a staggering 60% more sweets than those with lower capacity versions. That will resonate with regular users of other “pick and mix” confectionary stands; nature really does abhor a vacuum! Similarly, large wine glasses can also create an irresistible urge to fill the empty space and, anyway, topping them is encouraged by pressure to be a good host. So, alcohol based prudence seems to make a case for modestly sized glasses – especially for informal drinking. Resist those 250ml portions when out – and even consider buying a set of pub measures to help you see exactly what you are drinking at home. Seriously consider putting unused wine straight in the fridge for tomorrow – even reds, but remember to take those out 45 minutes before you need them, as against 15 minutes for whites! Glad you’re back on message! Making a spectacle of our glasses (ho! ho! not) has overwhelmed our cupboard so we’re now using “tasting glasses”. Our favourite is the 21.5cl tulip (different sizes & shapes available) from Viticole (other brands available too), ISO approved (!? ), dishwasher safe etc; one even bounced off our tile floor. Taster glasses are indeed a good call for keeping volumes under control, Nigel. Even better, they are designed to allow you to get the full aromas from the wine. If you have versions that bounce, then you really are on a winner! Thanks for giving details of examples that work for you. Over Christmas I tasted a NZ Syrah from The Wine Society. Wonderful, peppery stuff but outside my usual price. How can the wine be so different from Syrah grown elsewhere? Are there different genetic forms, is it the climate, the soil or the winemaker? Any supermarket recommendations? Morning Tony. Glad to hear that you had some great wine over Christmas. While skilled winemaking does play a part, the key influence with New Zealand syrah, to me, is terroir. The best versions come from the Gimblett Gravels which has a great story to tell as this summary from the excellent Wine Searcher web site recounts. The bad news is that these wines are seldom cheap and inexpensive versions in supermarkets are rare. Trinity Hill (which may the one you tried) is £13.50 at The Wine Society and Vidal have good options but these usually start around £15. On our travels around (the wine regions of) France we’d always buy a couple of tasting glasses from each cave that we visited if we coud. Usually marked with the name of the cave or the wine region. The first ones we got were from the wine fair at Menerbes in the Cotes du Luberon region. They’re 30 years old now. As well as the benefit of seeming to make a bottle last longer, it’s nice to remember those holidays and having a nice Fleurie in the glasses that we bought in Fleurie, for example, somehow makes it even better. What a super idea, Graham. I have some we bought in Sancerre and, as you say, sauvignon blanc always tastes especially good when it’s drunk out of them. I’m a recent addition to your readership, and enjoying your posts, thanks. Bought a couple of bottles of the animus wine, and note that all the reviews I’ve seen are of the version of this wine from the Douro. The current crop in Aldi is a Vinho Tinto de Portugal, a blend from “the best terriers of Portugal” and no mention of the Douro. The label is very slightly different – the two seated figures are coloured red, rather than just a line drawing. I haven’t drank a bottle yet – and at £4.99 would be mean spirited to complain, unless it is really poor! Thanks for mentioning this Richard (and welcome aboard MidWeek Wines). I hinted at these changes in the post but did not realise the new vintage had reached the shops yet. MidWeek Wine’s friend Nick Oakley – who imports and helps blend this wine – says this change is because there was insufficient fruit in the Douro this time as a result of the low harvest.The new version is still two thirds Douro but Nick insists that the additions do not alter the style (or, as you say, the price). Do please try some and report back, Nick says we shall be surprised. Meanwhile stock up on the current one where it is still available if it is one of your favourites – it does keep well. Tried a bottle last night, and it was a very decent everyday red. I commented to my wife that it was good to know that if we hit straightened circumstances we could happily survive on this excellent value £4.99 wine! I was also impressed that the labelling was very clear to distinguish between the Douro and Portuguese (2/3 Douro) versions – including the slightly different logo. So there was clearly no intention to misrepresent the wine. Will buy some more as our house red. Thanks Richard that’s really helpful. I will try to get my hands on some shortly. Good to hear that you also consider Ald’s Animus and Lidl’s Riesling excellent value wines. I have been buying these for months. I also like tulip glasses of a slightly larger variety which were given to me by a German friend to consume Grappa! Looking forward to receiving your future recommendations. Good to hear from you Douglas and glad we share similarly positive views on those two wines but look out for my reply to Richard about the Animus. Enjoy your grappa, far too few people drink it these days. I first reviewed the Animus on Cuvee Reserve Forum in November 2017. I think it was a 2015. It was outstanding at that time and I remember it being better, more complex, than the current 2017 offering that is still very good for the money and drinking well right now. The Lidl Riesling has been repackaged for my local store and they have little of it. It’s a cracking good wine of its type and probably one of Lidl’s better kept secrets, especially at £4.99. Sorry …should have said that I’d never had it before you flagged it up last week Brian, so thank you for that. That’s what the site is all about, Eddie and I am glad the wine meets with your approval. Riesling has so much ground to recover that it is really helpful when guys like you praise versions you have enjoyed. Riesling is such a versatile grape that it is a real shame so many people are still scarred by the versions that arrived here in the Seventies.